Description: Facilities management help desk software with a thorough planned preventative maintenance (PPM) module. Issue, monitor, control and report on reactive and scheduled jobs. Relied upon by facilities managers of small buildings as well as international building management companies. Soffront Employee Helpdesk manages employee support tickets from submission to resolution.Reduce IT support costs, increase employee productivity and enhance customer retention with Soffront IT Helpdesk. Create tickets and assign them to IT helpdesk agents automatically. Configure the workflow to match your IT support process. Dynamically generate action buttons that guide helpdesk agents through the defined process. Know where every ticket stands in the resolution process and ensure no ticket slips through the cracks. With the integrated Soffront Asset Management, the relevant system/ environment information appears automatically, when the employee submits an issue. Generate work orders on the issues raised. Send an electronic survey to measure employee satisfaction, when a ticket is closed. Run reports to measure agent productivity. 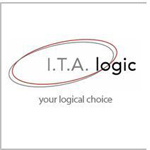 Product: Active Help Desk Company: ITA Logic Ltd Description:A simple yet effective product that provides the tools for users and service desks to record and manage these processes. The Active Helpdesk is an extremely powerful and effective business control system, helping you manage, report and track all IT assets and their budgets, company wide. CRMdesk is a highly efficient cutting edge technology solution that will dramatically improve quality and reduce costs of Internet-based customer support. It combines powerful features with an elegant user interface, allowing seamless integration with customer's website. CRMdesk consists from two Web-based applications: Customer Desk and Support Desk. Email interface - an alternative to the main web-based interface - converts CRMdesk to a powerful support email tracking processor. CRMdesk may be integrated with BUGtrack - a professional web-based issue-tracking and project management system.